Shippers near and far want to save on freight costs. Many, however, are stuck doing the same thing they’ve always done, and continue overlooking opportunities to improve customer service, increase speed, and cut costs. Regardless if you’re trying to get more control of your supply chain, reduce shipping costs, or gain more supply chain visibility, this post can lead you in the right direction. All the while, too many people are too focused on the BETTER or CHEAPER freight rate. What you really should be focusing on is: What is the SMARTER freight rate? For more information, contact us for a demo, or sign up for our transportation industry newsletter! Proper freight packaging is one of, if not the most, important component in the shipping process. Shipments that are packaged insufficiently suffer from insurance claims due to loss and damage, and can be subject to numerous accessorials. Further more, reassessing the packaging of your freight into a more condensed unit can increase the density and thus lower the class, directly impacting your bottom line. While splurging on more reliable packaging may increase your upfront freight costs, in the long run it’s proven to pay off. 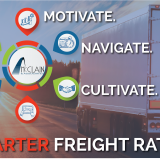 To get the most out of your supply chain, shippers must truly understand each mode available to identify specific lanes or shipments that qualify for lane conversion. For example, converting lanes totaling more than 500 miles from truckload to intermodal can save up to 50% of total costs with little increase to transit time and in decrease in service. If you are interested in intermodal lane conversion, download our Intermodal Reference Guide, or contact a member of our intermodal department! At times, it is more cost effective and can reduce risk to consolidate LTL shipments into a truckload, or wait a day to ship a larger quantity of pallets in one LTL shipment. On the other hand, it is sometimes more effective to break apart a truckload into LTL shipments, as this can increase your LTL buying power and prompt carriers to give you better discounts. However, to effectively make these decisions, logistics managers must fully understand the benefits and risks of each mode. Once you understand all possible modes and the benefits of each, it is time to perform a Transportation Audit. If the idea of a “Transportation Audit” seems daunting to you, you are not utilizing transportation technology effectively. Logistics companies, and companies who utilize the expertise of these 3PLs, perform transportation audits daily, using standardized algorithms and reports to automatically generate this information. Those, however, who are not reaping the benefits of these services, are the ones who could benefit the most from this sort of audit, as tedious as it may be. Compiling shipment data, from all carriers, locations, vendors, customers, etc. can reveal discrepancies in quoted vs invoiced amounts; inaccurate accessorials; inaccurate invoices; missed opportunities for consolidation; overlooked opportunities for route optimization; gradually increasing freight costs overtime; and many more. When these areas are identified, procedures can be put into place to prevent these errors from re-occurrence. Luckily, 3PLs are masters of these audits, and reduce the time and stress of this sort of analysis. Process improvement is an area all companies should continually be improving upon. Using the metrics provided by your TMS, you have the visibility to see problem areas within your supply chain, and can prioritize solutions based on those areas in need of immediate attention. Some examples of process improvement include: implementing EDI/API integrations, increase visibility of important information to all stakeholders (through TMS), knock down silos that separate departments and discourage communication, to name a few. Implementing EDI/API integrations with carriers, vendors, and customers, is the number one way to streamline processes. These integrations can transmit POs, SOs, Invoices, BOLs, PODs, etc. Not only does the electronic transmission happen automatically, it reduces risk of error by human intervention. 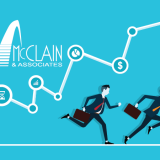 For more information about the our logistics technology at McClain & Associates, see our technology page, download our technology overview, or request a demo! There are multiple ways to increase your company’s freight-related buying power. What companies don’t realize, is that uncovering buying power within their current processes is extremely simple. One way, is to take control of your inbound freight. When shippers change their shipping terms from “Prepaid & Add” (Vendor pays for the freight, and then charges their customer back, sometimes with an additional fee) to “Collect” (carrier bills consignee directly) they are able to negotiate better discounts with carriers and avoid additional fees charged by their shippers. Another way to increase buying power is to convert full truckloads into LTL shipments, however, this is not always more cost effective in the long run, so all options should be weighed. Additionally, if your company has multiple locations, all locations should negotiate freight rates with carriers (either directly, or through a 3PL) as one larger entity. If you are like many shippers, you are shipping from a single location, one way to increase your buying power is to join a cooperative with like companies and negotiate freight rates as a whole. Lastly, consulting a 3PL is a great way to reduce freight costs. By shipping through a 3PL shippers have access to their larger buying power, technology, and expertise. The list of reasons to control inbound freight is virtually never ending, and taking control of your inbound freight is a literal game-changer. Not only does it increase your buying power, as previously stated, but it can reduce risk by strengthening vendor and shipper compliance ensuring freight is shipped on-time and cost effectively. With the right transportation management or supply chain technology, you have visibility of your freight at all times. 3PLs play a major role in inbound freight management by integrating transportation technology with customers ERP systems to assist companies with PO Management. When a 3PL comes into the picture, team members are able to actively manage orders and ensure they are shipped on-tim, in-full, and in the most cost effective manner. Combining PO data with shipment data provides invaluable metrics and enable shippers to make effective decisions to reduce risk and save money. 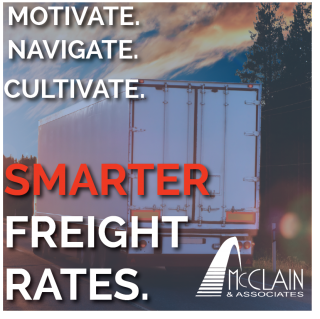 For more information on how McClain & Associates can assist with your inbound freight management, download our Inbound Management White Pages, Technology Overview, or contact us! Implementing a Transportation Management System (TMS) is the number-one most effective way to uncover savings in your shipping process. These systems integrate with client ERP or order management systems, to pull invaluable data that provide advanced business analytics and metrics to inform decisions. When Transportation Management Systems are able to pull PO data, time spent and errors made from manual entry are completely avoided as BOLs and other necessary shipping documents are automatically generated. In addition, Transportation Management Systems are designed to automatically schedule pickups with the carrier, or alert your 3PL that they need to, which adds to the time savings. In addition, many companies have a hard time accurately quoting their freight when creating bids or projecting costs, which can lead to higher-than-expected freight invoices and decreased margins. By y implementing a TMS, all members of your team have a portal to quickly log on and get an instant freight quote. 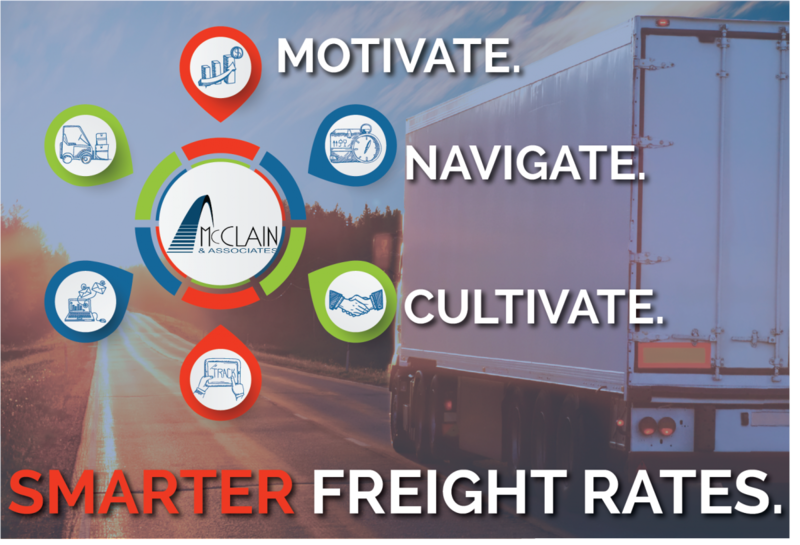 For more information on McClain & Associates Transportation Management System, see our technology page, download our technology overview, or contact us for a demo! While we may be biased, we firmly believe that partnering with a 3PL is the number one way to uncover savings in your shipping processes. 3PLs provide supply chain technology that saves time; decreases risk; streamlines manual processes; provides visibility to all stakeholders; and immediately alerts stakeholders to areas of concern. Furthermore, 3PLs bring their huge buying power to the table. This buying power comes with experience handling various kinds of freight from many different industries, so you can rest assured, your freight will be safe. In addition, 3PLs can help manage your company’s inbound freight and ensure JIT philosophies are in tact. By performing a transportation audit, logistics companies can suggest possible lanes that are eligible for conversion to a different mode or consolidation, and collaborate with the client to improve packaging.